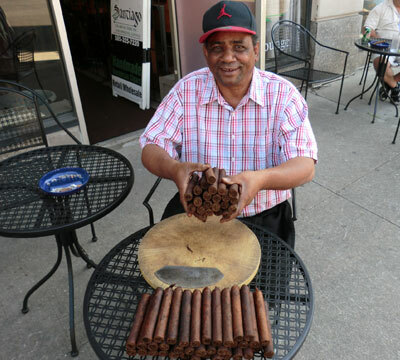 At Santiago Cigar Factory we offer a true Master Rolling Service for all events. We are Fully Licensed and Insured to provide you with a worry free amenity that will surpass all your expectations. Our Master Rollers have well over 37 years experience in live Master Rolling. We have performed well over 1000 events and have become THE amenity sought after for that special event where a lasting and memorable event is your goal. All our staff have been thoroughly trained to respect the sanctity and importance of your event. 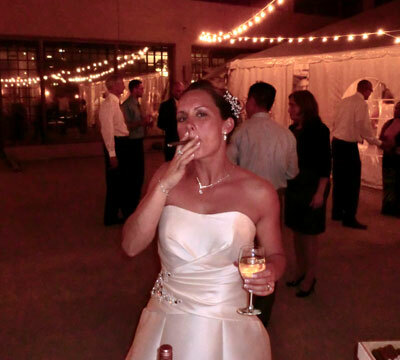 Events include, Weddings, Corporate Events, Wine Tastings, Beerfest, Private Parties, Festivals, Golf Tournaments, Banquets, Smokers, and any other event where your goal is a lasting impression. Let us help you make your special event truly special. Please call early to book your date. 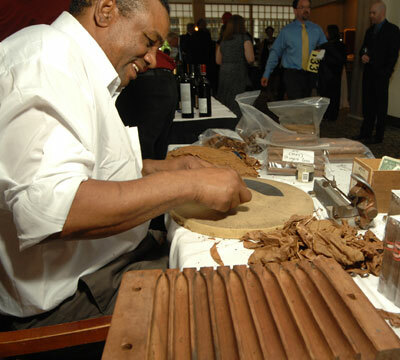 The Santiago Cigar Bar is another great choice for getting amazing cigars into the hands of your guests. Featuring all of the same premium cigars as our Master Rolling Services, the Cigar Bar packs an impressive punch in a more economical package. Who doesn't love that? 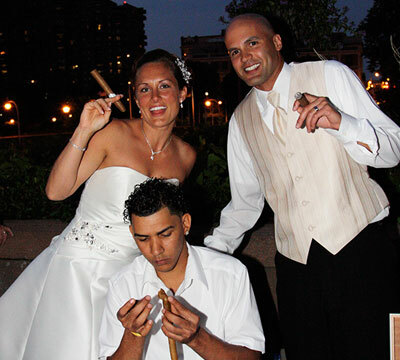 Enjoy a few hours with a highly trained tobacconist while they ensure that everyone at your event receives the perfect stick. 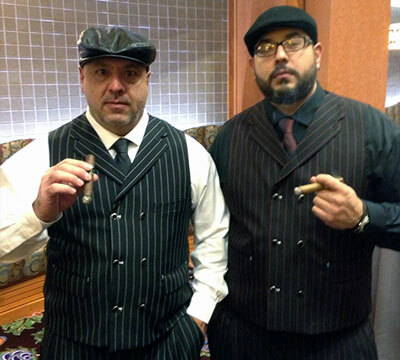 We've got the necessary accessories covered, and with several packages to choose from the Santiago Cigar Bar is the perfect compliment for your next event. Please call to early to book your date.